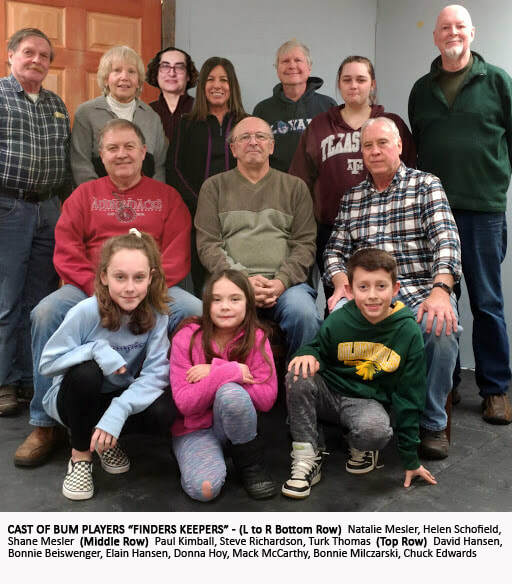 Local community-theater troupe the BUM Players, will present Finders Keepers, by David Hansen, at 7 p.m. on April 5, 6, 12 and 13 in the Brockport United Methodist Church Fellowship Hall, 92 Main St. Finders Keepers makes it world debut as the troupe's annual dessert-theater comedy. Desserts and beverages will be available during intermission and included in the cost of the tickets. Tickets are available in the church office from 9 a.m. to noon, Monday through Thursday, or at the door the nights of the show. Tickets may also be reserved by phoning the office at 637-4240 or by calling 261-7381. General admission is $9; seniors (age 65+) $7; and one-family household is $20. The play revolves around a run-down old lighthouse in Maine which, for decades, has been run by the same family. Due to the fact that the ghost of an old sea captain, played by Chuck Edwards, is comically haunting the place and governmental forces are attempting to close it down, the hi-jinx and antics flow non-stop. The cast includes three youngsters: Natalie Mesler (Samantha Baxter), Shane Mesler (Robbie Baxter) and Helen Schofield (Becky Baxter). Troupe newcomers Donna Hoy (Ellen Cooper) and Bonnie Milczarski (Jennifer Bridges) will make their debut. Rounding out the cast are veterans Steve Richardson (Bill Cooper), Paul Kimball (James Baxter), Turk Thomas (Henry Cooper), Bonnie Beiswenger (Marge Palmer); and Elaine Hansen (Katherine Baxter). The Meslers share the stage with their grandfather Kimball, and Schofield with her grandparents Elaine and David Hansen. David Hansen directs, with Mack McCarthy as assistant director Serving as co-technical directors are Thomas and Richardson. Stage manager is Lexie MacLarty and dessert coordinator is Kathy Klump. I'd like to introduce you to Leslie Zink, the newest member of the Clarkson Town Board, who was appointed on January 15, 2019 to fill a vacancy. A twenty-five year resident of Clarkson, Zink first got involved with local government by serving for a decade as a trustee on the Seymour Library Board (representing Clarkson). "I love the library and am a very strong proponent of the library," Zink said. "I'm there all the time!" She has also served on Clarkson's zoning board, planning board and currently serves on the town's solar and bicentennial committees. She's particularly excited to get families involved in celebrating Clarkson's bicentennial year (2019). "I love the community and rural feeling of the town," said Zink, who lives in Clarkson with her husband Bob, a lieutenant with the Rochester Fire Department. They have two adult children who are graduates of Brockport High School. Zink, who is a graduate of Syracuse University (BS) and the Rochester Institute of Technology (MBA), is the senior manager of pricing and tariffs for Frontier Telephone, where she has worked for 29 years. Her hobbies include reading, scrap booking, bike riding and kayaking. She is a former volunteer leader for 4H, Girl Scouts and Boy Scouts and has served as an election inspector. The town board vacancy Zink was appointed to fill was created when town board member Christa Filipowicz was appointed supervisor by the board (following the resignation of supervisor Jerry Underwood) also on January 15, 2019. ​The Brockport Symphony Orchestra will present their ninth annual "Holiday Pops" Concert on Dec. 1 at 4 p.m. in the historic sanctuary at St. Luke's Episcopal Church, 14 State Street, in Brockport. Directed by Jonathan Allentoff, this family concert will showcase the talents of vocalist Mary Wojciechowski, violin soloist Jaesun Han, and the Brockport Symphony Orchestra Brass Ensemble. Wojciechowski, a graduate of Nazareth College and Temple University, will sing holiday songs from the films "Holiday Inn", "White Christmas", and "In the Good Old Summertime." Han, who has appeared as a soloist, ensemble performer and recording artist in South Korea, Russia, Israel, Thailand, Japan, Taiwan and the United States, will perform J. S. Bach's "Air on the G String." The Brockport Symphony Orchestra Brass Ensemble, comprised of performers from the orchestra's brass section, will premiere a new suite of Christmas carols arranged by Allentoff. The program also includes selections from "The Polar Express", "Miracle on 34th Street", Handel's "Messiah", and the Chanukah oratorio "Judas Maccabaeus." Admission and parking are free, and canned items for the Brockport Food Shelf and donations for the Food Shelf, St. Luke's, and the orchestra will be gratefully accepted at the door. There will be a complimentary dessert reception in Parish Hall following the performance. This project is made possible with funds from the Decentralization Program,a regrant program of the New York State Council on the Arts with the support of Governor Andrew M. Cuomo and the New York State Legislature and administered by the Genesee Valley Council on the Arts. For additional information, visit www.brockportsymphony.org. Professional wrestling returns to Brockport on Dec. 7. 2018 when Upstate Professional Wrestling holds their Ghosts of Christmas Past Present & Future event at the Brockport Elks Lodge #2110, 4400 Sweden Walker Road. Among those competing is Brian Smith, a graduate of the College at Brockport who wrestles under the name Chris Cayden. "Expect a very family friendly, action packed event," Smith said. "Even if you're not a wrestling fan, it's a great event simply because of the fun atmosphere." They'll be wrestlers competing from three different generations: the past, present and future. Upstate Professional Wrestling was founded in the early 2000's in Rochester. Doors open at 6 p.m. and matches start at 6:30 p.m. Tickets are $15 pre-sale or $18 at the door. You can order online here. From 9am-1pm Saturday, December 1st, Life Solutions of Hamlin will hold its 8th annual Community Children's Holiday Bazaar at St. John Lutheran Church, 1107 Lake Road West Fork, Hamlin. Children are invited to shop for new and gently used gifts for their family members at prices starting at 25 cents. Adult shopping also. Free gift wrapping, free activities such as face painting, crafts and a visit by Santa and Mrs. Claus. Food will be available for purchase. All proceeds benefit the Life Solutions Food Pantry, which provides food to over 60 families in Hamlin each month and Christmas dinners to over 100 families. Go to lifesolutionshamlin.org or call 585-964-7420. Jon Terry of Brockport is an accidental advocate. The founder of the Allergy Advocacy Association never paid much attention to life-threatening allergies until tragedy struck his own family. His only sibling, Ruth “Ruthie” T. Cornell, died in 2009 at age 53 of anaphylactic shock after being stung by a honeybee at her home in North Carolina. “Ruthie was an example of the perfect storm of what can happen with anaphylaxis,” said Terry about the life-threatening allergic reaction that can be treated with the medication epinephrine (commonly referred to as an EpiPen). “She had been stung as a child without issues, but something changed. My brother-in-law is a primary care physician, but there was no EpiPen in the house, because there were no prior indicators she needed one.” After Ruthie died, Terry, who is retired from a career in the entertainment design industry, turned his family’s pain into advocacy. He formed the nonprofit Allergy Advocacy Association in 2010 with a mission of preventing anaphylaxis through awareness, alertness and action. 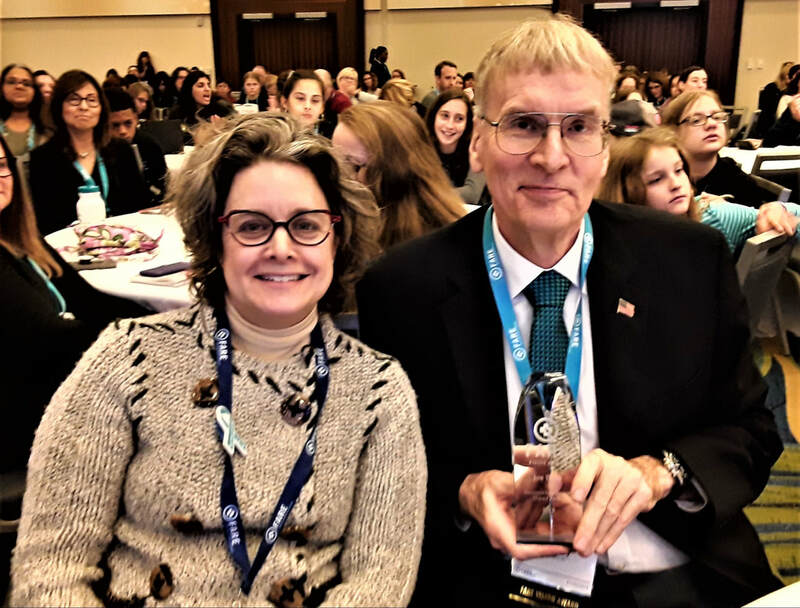 On Nov. 4 he was awarded the 2018 FARE Vision Award, from the Food Allergies Research and Education organization in Washington, D.C. The award recognizes individuals and entities who support FARE in its mission to improve the quality of life and the health of individuals with food allergies and to provide them hope through the promise of new treatments. Jon was recognized in part for the Allergy Advocacy Association’s efforts to pass legislation involving the stocking of epinephrine in schools, providing daycare guidelines for food allergy management, and working at food allergy awareness days for legislators in Albany. Among the group’s current activities, educating restaurants in New York that they’re authorized to have EpiPens on hand (with proper training) in case a diner or employee suffers anaphylaxis. They’re also working on improving signage and menus in restaurants and pushing to get more generic epinephrine products on the market. Patrick Morris of Rochester has a cousin with a severe peanut allergy. He met Jon over the summer and has become involved in the organization as its senior adviser for development. 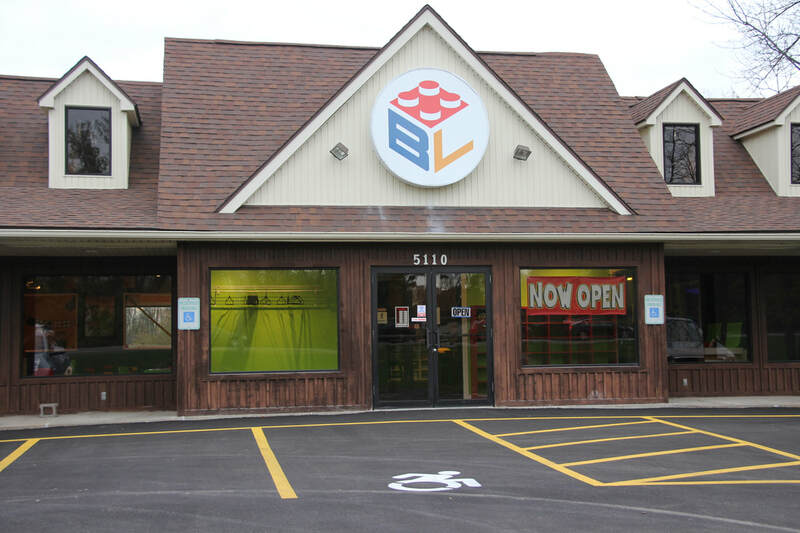 The Allergy Advocacy Association will hold its first annual Rochester Allergy Action Awards Fundraising Gala from 6 to 9 p.m. Nov. 15 at ARTISANworks, 565 Blossom Road, in Rochester. Tickets are $100 per person and are available online or at the door. There will be a dinner, silent auction and awards. One of the awards — the Ruth T. Cornell Award —will be presented for the first time, in memory of Jon’s sister Ruthie. For more information on the gala and/or Allergy Advocacy Association visit allergyadvocacy association.org. Although Veteran’s Day is a little over a month away, honoring and supporting veterans year-round is a mission of Kelly and Paul McCracken of Sweden. 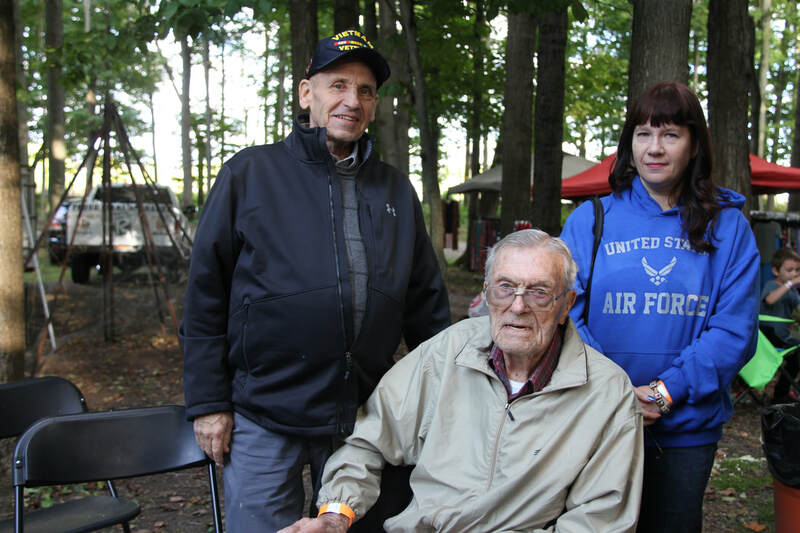 The couple and their volunteer, event committee — the Patriot Alliance of Western New York — held their third annual Pork for Patriots event on Sept. 29 at McCracken Farms on White Road. A highlight of the music festival was the honoring of three local veterans: Frank Jenkins, Larry Vaughan and Sharon Anderson Chaplin. All three veterans served in very different times in history and have unique stories I wanted to share with you. Jenkins is a World War II veteran who left Brockport High School in 1944, before graduating, to enlist in the U.S. Army. He was a member of Company B 49th Armored Infantry where he received multiple accommodations and decorations, including European, African and Middle Eastern Campaign medals. When he left the service and returned to Brockport he earned his GED, but never received his high school diploma. This August, in a private ceremony with family, he received his high school diploma from the Brockport Central School District. He and his wife Patricia have six children, twelve grandchildren and five greatgrandchildren. “Frank has not only proven that he is an American patriot, but a hero to his family and friends through his dedication to the country, his community and his family,” said Bob Carroll, vice-president of the Patriot Alliance of Western New York, about why the group chose to honor Jenkins. Vaughan was recognized for protecting not only his country, but the local community. He was drafted by the U.S. Army in 1969 and served in Vietnam as a member of 1st Armored Cavalry Division. When he left the service he met his wife Barb at a country firefighter’s conference and they married in 1972. For an impressive fifty-one years, Vaughan has volunteered in fire service throughout Monroe County. He has held positions in the Greece Fire Department and Brockport Fire Department, most recently as a Brockport Fire District Commissioner since 2012. Chaplin, the final honoree at Pork for Patriots, was recognized for her community outreach about veterans. She joined the U.S. Air Force in 1989, a year after graduating from Caledonia-Mumford High School and spending one year at St. John Fisher College. She served as a dedicated analyst for the 36th AMU Fighting Falcons at Osan Air Base in South Korea and later reported statistics for a variety of aircraft at Eglin Air Force Base in Florida. She was among the few to witness the B2 Stealth Bomber being tested in Eglin’s climate control hanger in 1992. After leaving the Air Force in 1993, she finished her degree at St. John Fisher College and married her husband Scott in 1998. When their daughter Samantha was in the sixth-grade she was asked to speak to her class about her time in the service and that experience sparked many speaking engagements to follow. Additionally, Chaplin is a volunteer and guardian for Honor Flight Rochester, member of the American Legion and volunteers with a Vietnam veteran’s re-enactment group. Proceeds raised from this year’s Pork for Patriots event were donated to Blue Star Mother’s ROC, an organization for parents that have or have had sons and daughters serving in the military and Rochester Community Inclusive Rowing, which offers rowing opportunities for veterans. Each year two different Rochester area non-profits dedicated to supporting veterans are selected to receive the funds raised. Ken Freeman, curator at the Parma Hilton Historical Society Museum, emailed with news about a fun, upcoming fundraiser called Tasting of Apples from 1 to 5 p.m. on Oct. 14 at the Blue Barn Cidery, 928 Manitou Road, in Hilton. The event will benefit the Parma Hilton Historical Society. Highlights of the event include tastings of a variety of desserts made with apples, displays by the historical society about the important history of apples in Hilton, food trucks and more. Tickets are $10 and include a pint of cider and dessert tastings. They can be purchased from the museum at 1300 Hilton Parma Corners Road on Sundays from 2 to 4 p.m. or any other time the museum office is open (call (585) 392-9496 before stopping by) or online at Eventbrite.com (search for “A Tasting of Apples”). Contact Caurie at caurie@urgrad.rochester.edu with news from west-side towns. She’s on Twitter at @CauriePutnam and on Facebook at facebook.com/ BrockportBlog/. ​The 22nd Annual Rochester Children’s Book Festival, presented by RACWI (Rochester Area Children’s Writers and Illustrators), will take place on Saturday, Nov. 3, 2018, from 10 a.m. to 4 p.m. The event will be held in the R. Thomas Flynn Campus Center at Monroe Community College, 1000 East Henrietta Road. Face to face access with 48 authors and illustrators. Three venues featuring presentations, workshops and story time, running continuously throughout the day. Volunteer Interpreting services provided by students in the ASL/English Interpretation Program at the National Technical Institute for the Deaf at RIT. Arts and crafts room where children can create book related crafts to take home. Face painting by area college student volunteers. Early Vision Screenings by ABVI (Association for the Blind and Visually Impaired). Among the 48 authors and illustrators, over 20 are from the Rochester region, including Newbery Medal Winner, Linda Sue Park and Edgar Award winner Vivian Vande Velde. Also, author Wendy Dunham of Brockport. Other participants include: Grace Lin, Barbara Dee, Carole Boston Weatherford, Charles Smith Jr., Nikki Grimes, Joseph Bruchac and Bruce Coville. Originally published in the Democrat and Chronicle (print edition) October 28, 2018. 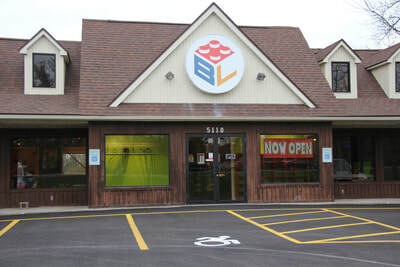 ​I challenge you to walk into the Brick Lab in Parma and not smile. 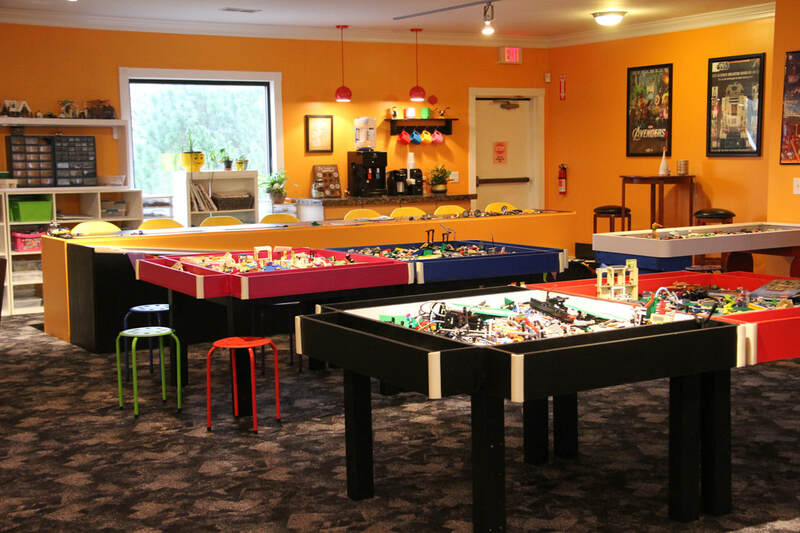 The newly opened 2,400 square-foot LEGO learning center is a sensory delight for children (and children at heart) at 5110 W. Ridge Road. Moss, his wife and their three children (ages 15, 13 and 10) live in Spencerport. 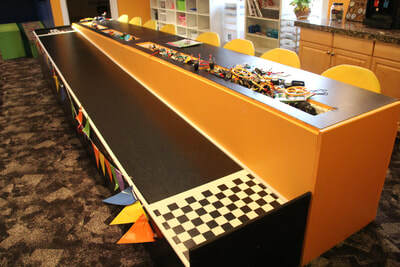 He was a special education teacher in the Rochester area for 15 years, before coming up with the idea for the Brick Lab. 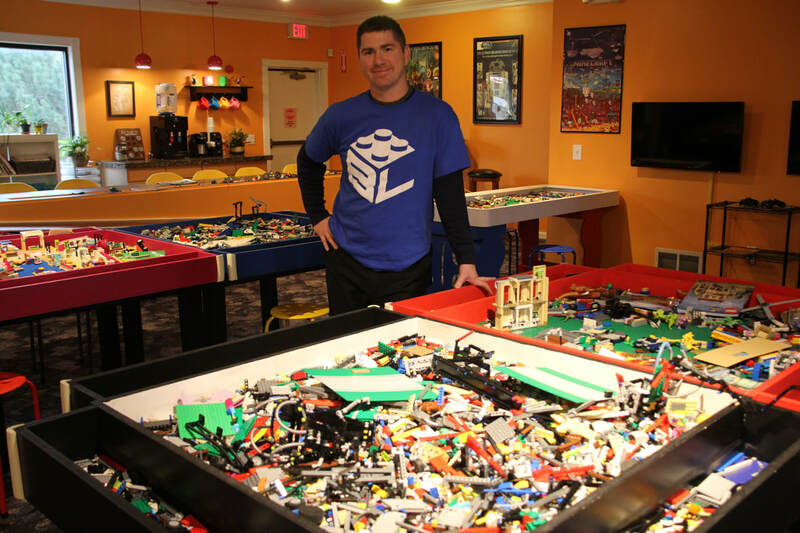 Hands-on is the theme at the Brick Lab, whose standalone building was formerly occupied by a martial arts center and a tile sales company before that. There are thousands of brick pieces in custom-made, themed play tables, hundreds of boxed LEGO sets, a large pinewood-derby style racetrack to test vehicle creations, a stop-motion video animation area and special play area with larger, LEGO Duplo toys and trains for little ones. 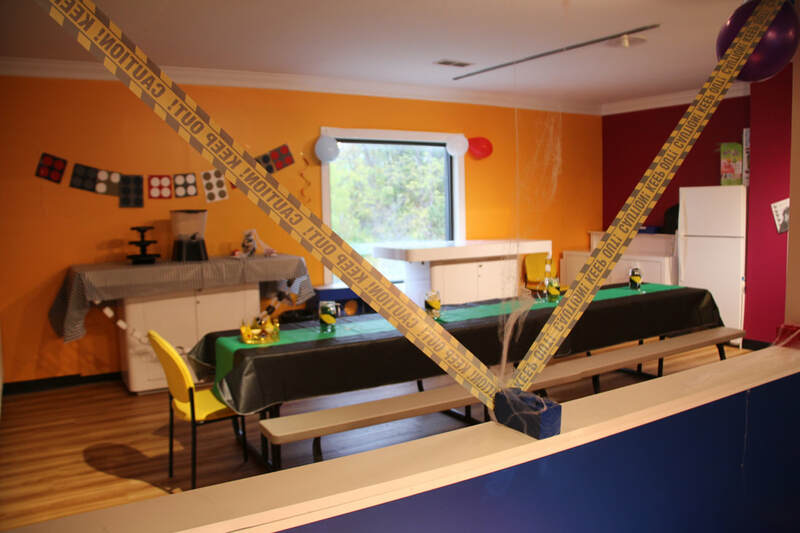 There is also a birthday party room and video game area with PlayStation 4s featuring the latest LEGO game titles. 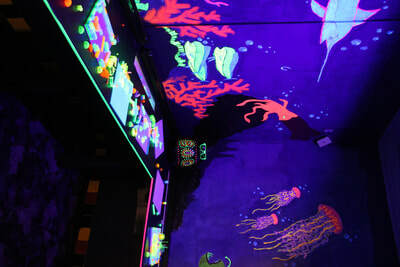 My favorite part of the lab was an immersive, black-light room dubbed 20,000 Bricks Under the Sea. 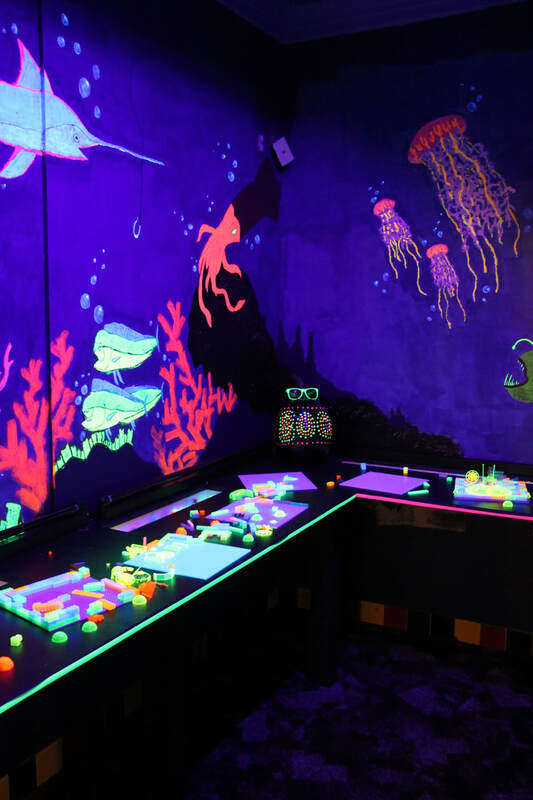 It has glow-in-the-dark building pieces and soothing sensory sounds from an aquarium. 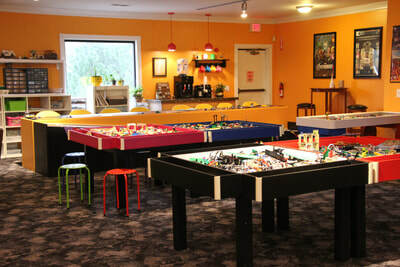 Wi-Fi, coffee and work tables are available, but often parents, grandparents and other caregivers prefer to join in and play. 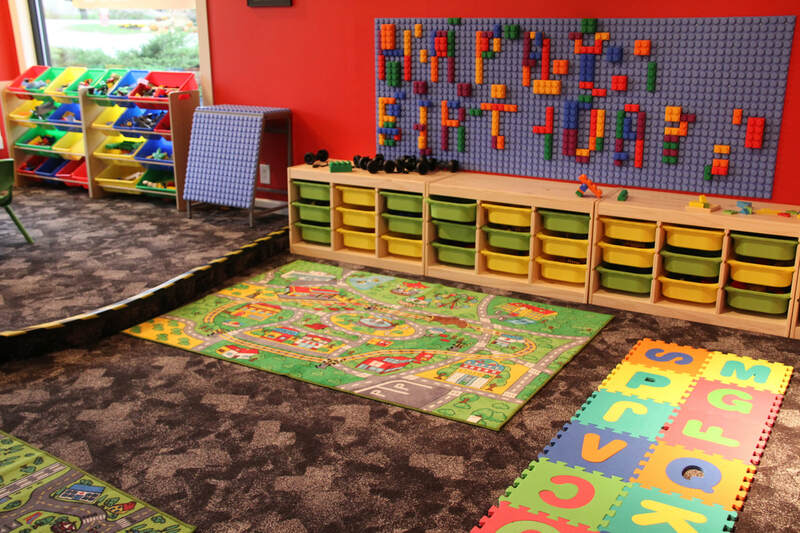 The Brick Lab opened in September 2018 and Moss has plans to add STEM education project-based workshops and clubs, small groups for children with special needs and other programs that draw on his teaching experience. Brick Lab hours are 10 a.m. to 6 p.m. Monday through Friday, 1 p.m. to 6 p.m. Saturday and 1 p.m. to 4 p.m. Sunday. Check the website at thebricklab.com or call ahead at (585) 617-4414 (since Moss is still tweaking the hours). 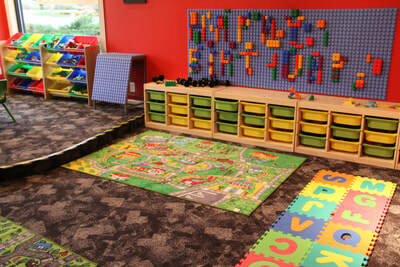 Cost is a daily rate of $7.50 per child for unlimited play (children under 18 months free with paid sibling). This month, Messiah Evangelical Lutheran Church, located at 4301 Mt. Read Blvd. in Greece, expanded their free lunch program to two times a month. The church now offers free lunch to the community from 11:30 a.m. to 1 p.m. on the first and third Saturday of the month in the Fellowship Hall. The next free lunch is Nov. 3. Organizers invite everyone in the community to attend this fellowship opportunity. The church is handicapped accessible. Soup and sandwiches are served in the winter, and salads and sandwiches in the summer. For more information, contact the church office at (585) 8651866 x 2. Contact Caurie at caurie@urgrad.rochester.edu with news from west-side towns. She’s on Twitter at @CauriePutnam and on Facebook at facebook.com/BrockportBlog.